Science journal editors are the air traffic controllers of the science world. Their task is to guide reports of original research through a process of peer review and revision and deliver it quickly and clearly to its intended audience, all the while keeping an eye on what else is in the air. It’s a hard job, and the challenges are changing as a result of the Internet, the globalization of science, and social media. Here, we describe the challenges and changing roles of science journal editors as they embrace digital technologies in their efforts to stay abreast of scientific trends and controversies. These days, most science journal editors earn a Ph.D. and do a postdoc before moving into scientific publishing. Once they’ve jumped the academic ship, they learn on the job. When they are not out visiting scientists or attending conferences to recruit new papers, they are in their offices reading scientific manuscripts and corresponding with authors, fellow editors, and current and potential reviewers. Science Journal editors must be able to read and understand a scientific manuscript and form a preliminary opinion of its relevance. Then they must corral opinion on the novelty, rigor, and scientific interest of a reported new result. Reviewers’ opinions are often at odds, and their analyses may vary, so editors are charged with collecting, distilling, and evaluating those analyses. Science journal editors make recommendations—and sometimes a final decision—on whether or not to publish. Once a paper is accepted, editors work with the authors to improve the manuscript and make the suggested revisions—a task that requires patience, interpersonal skills, and the ability to achieve consensus among opinionated scientists. Twenty years or so ago this process was managed mostly on paper, but over time it went electronic and—thanks largely to email and online manuscript submission systems—became quicker and more interactive. Now the role of science journal editors is changing again. As social media facilitates one-to-many interactions, editors are finding new ways to maintain their networks and eavesdrop on the scientific community. 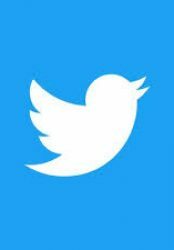 Twitter is emerging as the preferred tool among science journal editors for meeting the changing demands of their job. Nicholas Wigginton, Science’s Ann Arbor, Michigan-based earth and environment editor, says that one of the biggest challenges for editors is “to keep in touch with new scientific communities” as science’s global reach expands. Wigginton employs Twitter to cultivate and maintain a network of potential reviewers in countries that once were poorly represented in academic journals but, because of significant improvements in the quality of their research, are attracting fresh attention. By listening in on online conversations, editors also use Twitter to keep up with the latest news from their field. “[Twitter] is replacing the role of listening in to chatter in the hallways of conferences,” Wigginton says. Increasingly, researchers are tweeting the key points of their colleagues’ talks at scientific meetings. By following a meeting’s hashtag, editors can learn about new results and gauge the researchers’ responses without being in the room. Editors can’t be everywhere at once; even a major journal like Science has only about 30 editors, too few to make it to all of meetings and conferences that take place every year. Sacha Vignieri with her son Griffin Ream (left) and Sceloporus occidentalis (center of face). Twitter is especially useful, Yeston says, for following high-profile flops. “It is kind of like jackals; when there is a paper that kind of looks like it is going south, then people attack it,” he says. Editors may have papers under review that rely on a published result; if it’s being called into question, editors need to know about it, he adds. Yeston says he avoids tweeting about particular papers, because he assumes that, as a Science editor, he’s on stage: He worries he may give scientists the wrong impression about the types of papers he is interested in reviewing. But that doesn’t mean that editors wish to remain invisible; some use Twitter and other social media tools to build and maintain a public profile. Sacha Vignieri, Science’s Portland, Oregon-based ecology editor, says that many editors want to be accepted as scientists’ peers. By creating an online presence, they are better able to demonstrate their fluency in the areas they cover and show that they were once active researchers in those fields. The value of such an online presence remains a topic of ongoing discussion, she acknowledges, at Science and other journals. Editors increasingly use social media to reach out beyond the usual specialist audiences. Editors are under increasing pressure to ensure that the science in their journal is accessible to nonspecialists, explains Michaela Handel, The Journal of Experimental Biology’s publishing editor, who is based in Cambridge, United Kingdom. She spends more time on public outreach today, she says, than she has at any other time during her 17 years as an editor. She uses Twitter, Facebook, and YouTube for her outreach. “It’s a great way of telling our community what we are doing,” she says. Despite the advantages it offers, Twitter hasn’t really changed the daily responsibilities of a journal editor, except around the edges. “I don’t think social media is really something people should be thinking about when they consider becoming an editor,” Vignieri says, although “it’s kind of an interesting add-on.” Applicants are not vetted on their social media skills, she adds. What is still most necessary for aspiring editors is a broad and detailed knowledge of the field and the skills needed to refine a piece of scientific work and shepherd it through to publication. At its heart, scientific editing is still about publishing a field’s most interesting and influential papers, which means that reading, writing, and thinking about science are still at the core of the job, says Cell Stem Cell editor Deborah Sweet, who is based in Cambridge, Massachusetts. (She is also the publishing director at Cell Press.) Those activities are likely to remain the mainstay of the work scientific journal editors do, even as new technologies alter the job in significant ways. If mastering and practicing these skills is an attractive prospect, a career as a journal editor might be for you.